The horse is sound, the rider is fit and ready for the ring. Or are they? Riding is a sport, and even the world’s top riders and the best horses have off days. No matter how physically prepared a rider is, if their mental skills are not on par they are not prepared to achieve their best results. Tonya Johnston, MA, has spent two decades as a mental skills coach. 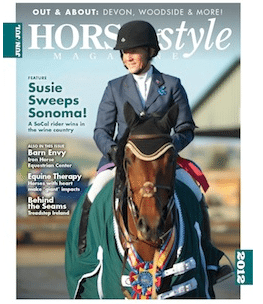 As a rider herself, she applied her knowledge and experience while writing Inside Your Ride. Within the pages of her book you’ll learn helpful mental relaxation and focus practices such as stretching, breathing, visualization and more. 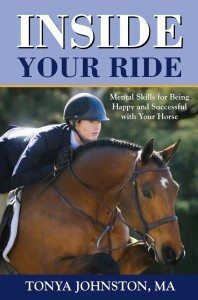 Inside Your Ride also gives readers the rare opportunity to get inside the heads of top riders from across the country, as they reveal how they mentally prepare for big classes such as the Olympics and the World Cup Final.